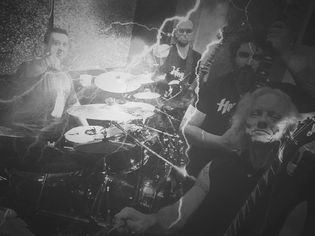 08/03/2018 Video for 'De Occulta Philosophia' is getting more than 3K visits!! 08/11/2018 First single 'Clavicula Salomonis' is published today! The song is taken for the next album 'The Grimoires' whose publication date will be January 25, 2019 !! 18/10/2018 Inferitvm get signed by finnish label Inverse Records!! 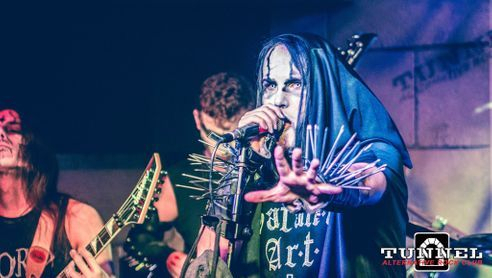 ENG: Inferitvm is pleas 09/03/2019 ed to announce we just got signed by the Finnish label Inverse Records for the release of their third album 'The Grimoires'. This release is postponed a few weeks of the previous announced date, but we can not be more satisfied to start working with a label with real passion and dedication for extreme music. We've put a huge amount of energy into this, and we wanted to represent it in an album with a VERY different sound. It has been a pleasure to finish the recording process and, above all, we are excited about the final result. 01/08/2018 New Line Up Reinforcements! - The one who from the beginning was our bassist, Arye, has decided to leave Inferitvm for personal reasons. We wish you a future full of glory and we appreciate that you have been for us more than a hellish companion. 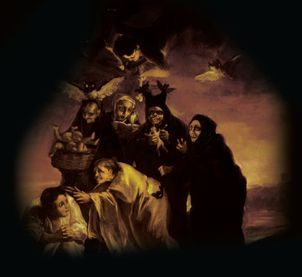 Recordad que podéis escuchar y descargar 'The War of The Witches' a través de todas estas plataformas!!! Nuevo EP disponible en Bandcamp, packs especiales CD+camiseta aún disponibles exclusivos para la plataforma. Échale un vistazo!!! New EP available in Bandcamp, special packs CD+T-Shirt available and exclusive for bandcamp users. Check this out!!! The Warlock a la venta a través de la web de nuestro sello. Pronto sacaremos una edición en vinilo. Estad atentos!! 31/03/2016 - Mallorca Extreme Vol.1 Release Party!!! Watch the official music video for Inferitvm - "The King of The Rats". "The Warlock" estará disponible en iTunes y Spotify dentro de muy poco gracias al acuerdo con la compañía RECORD UNION que lo distribuirá digitalmente. Las letras de "The Warlock" están disponibles para consulta en la sección Music. Agradecemos a todos los asistentes al concierto especial de Halloween en Tunnel Rock Pub en Palma. Iremos subiendo fotos y vídeos a la sección Gallery. Más información en nuestro Facebook y otros canales en redes sociales o en mallorcaextreme.webs.com. 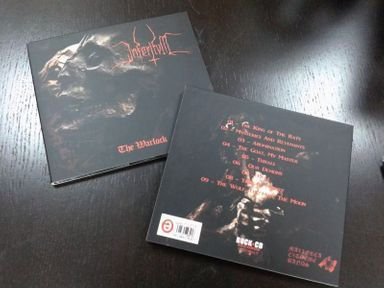 30/10/2015 - "The Warlock" a la venta. Edición limitada de 66 unidades editada por RockCD Records, que estará a la venta a partir de mañana a través de esta web en la webshop. 29/10/2015 - Bienvenido al sitio oficial de INFERITVM en la red. Las actualizaciones de Facebook de la banda y en otros medios continuarán, pero tendréis esta web para ir actualizando contenido multimedia, conciertos y merchandising.